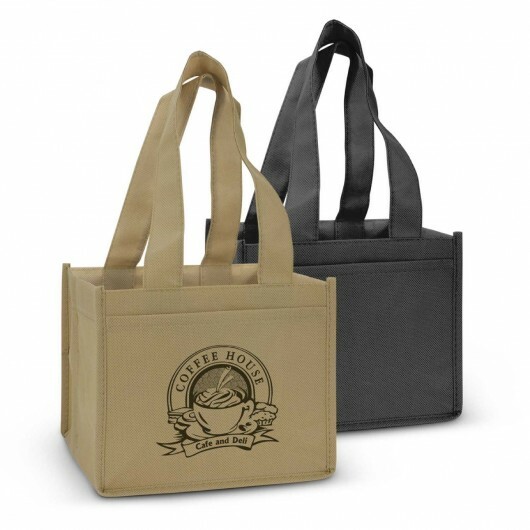 Take the frustration out of carrying multiple coffee cups with these eco friendly non-woven totes. These handy tote bags are designed to securely hold four cups of coffee in separated compartments. 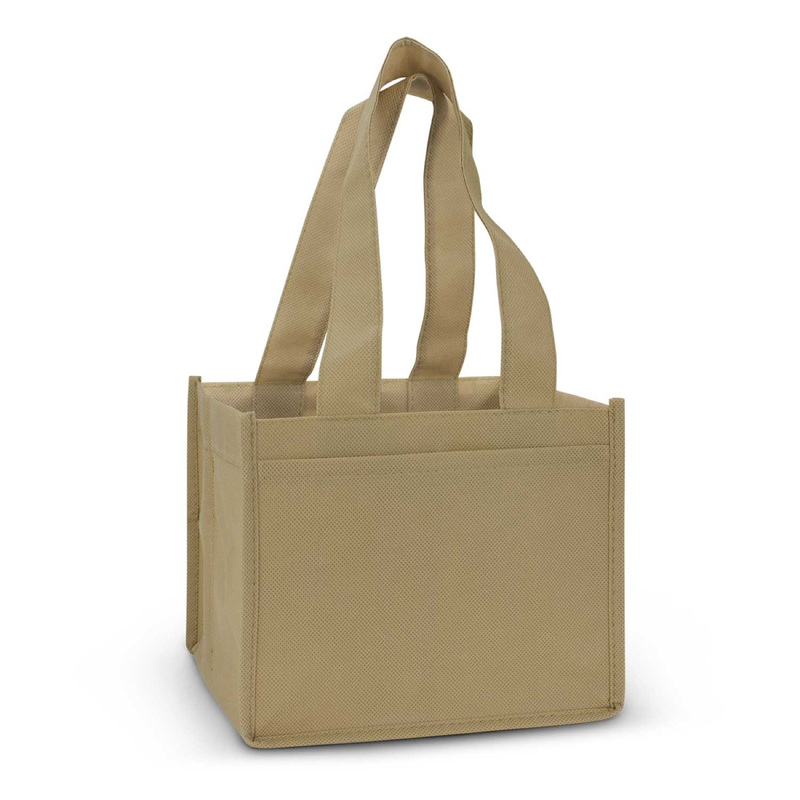 Made from 80gsm non-woven material it is built with a reinforced base for added stability and also features an external slip pocket for carrying other items such as coffee cards, sugar sachets etc. A must have around the office for coffee runs or keeping the crew energised.